The Amber Haze cocktail is light, easy-going and refreshing. The flavor is apple with just a touch of pomegranate. This gets combined with soda water for some carbonation. The alcohol content is on the weak side. This is a great choice for light drinkers, or anytime you want just enough alcohol to relax. It’s perfect for sipping poolside on hot days – the combination of ice and carbonation keeps it cool. 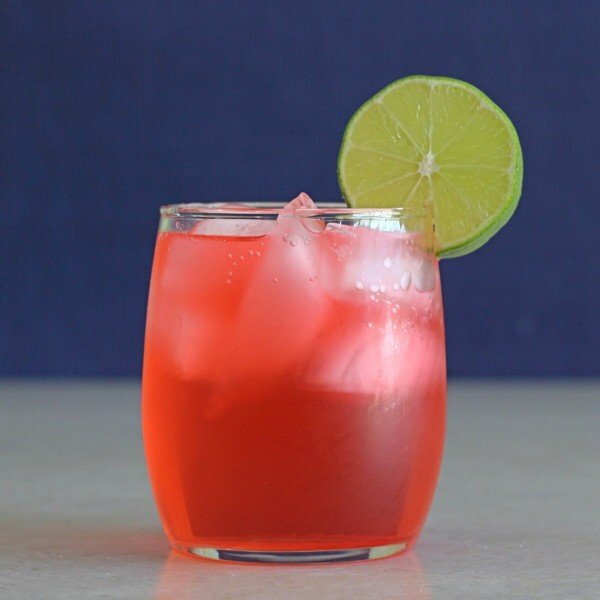 It’s almost like a slightly alcoholic pom-apple soda! Fill an old-fashioned glass with ice. Pour in the apple rum first, then top it most of the rest of the way with the soda water. Pour the dash of grenadine on last. 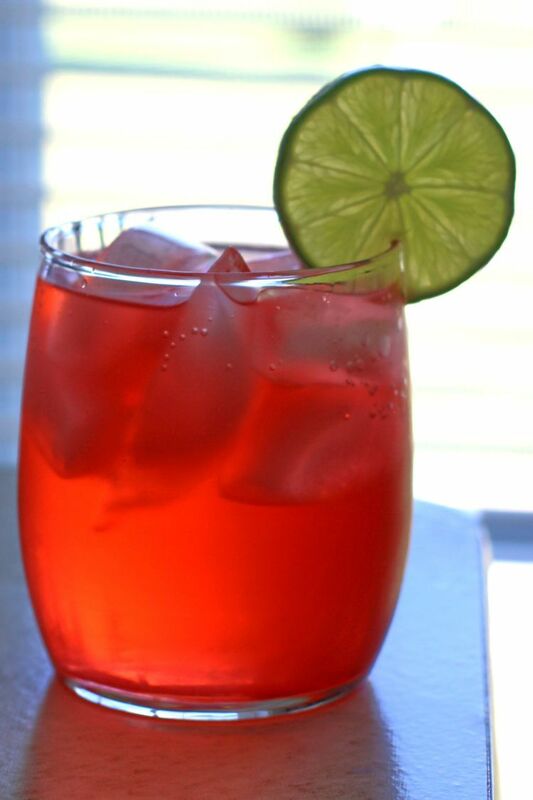 Garnish with a lime wheel and a straw for stirring in the grenadine.